Homeopathy is a safe, gentle form of natural medicine with no side effects. It has been in use worldwide for over 200 years and is based on the ancient Hippocratic idea that 'like cures like'. Homeopaths use a whole person approach, with treatments being based on the patient's health history as well as their specific emotional, physical and mental symptoms. Tiny amounts of various compounds such as Sulphur, Arnica, Aconite, Belladonna and Calcarea Phosphorica are repeatedly diluted in a process known as 'potentisation' then added to a neutral sugar pill. Once administered - usually by allowing to dissolve under the tongue - symptoms may increase slightly, prompted by the body's own healing response. This is in contrast to the conventional ('allopathic') medical approach which often suppresses symptoms. 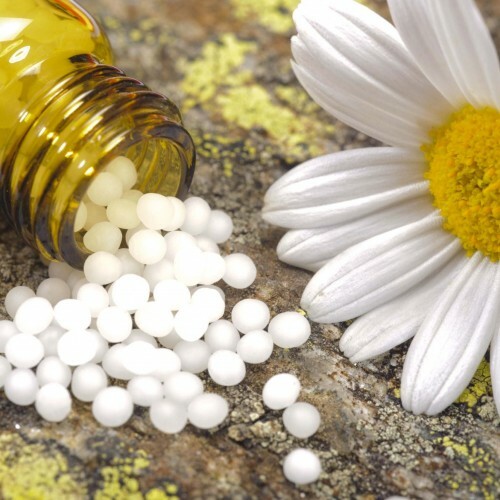 Homeopathy can be used to treat acute symptoms like bruising (often with Arnica cream), shock, bee stings and teething, as well as conditions such as depression, arthritis, asthma and digestive disorders.